Valentine’s Day. 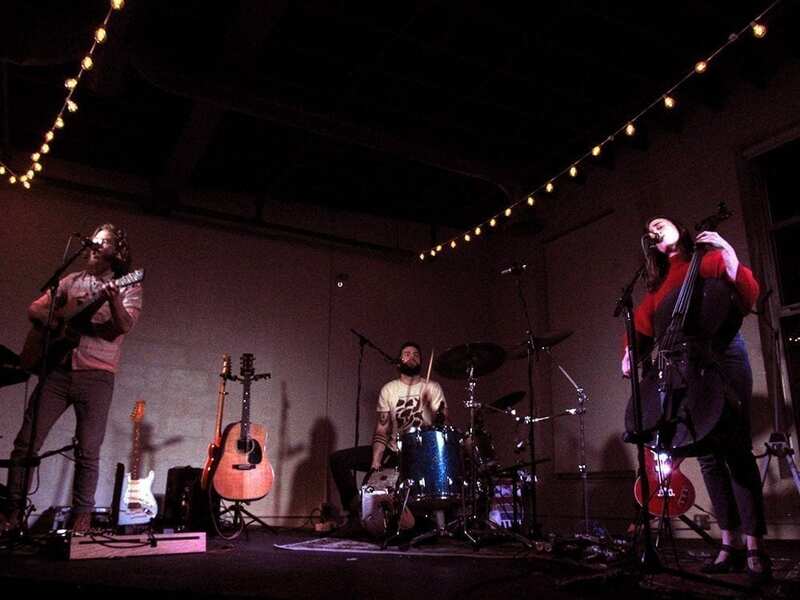 The perfect occasion to spend an intimate evening alone with your loved one, or as was the case Wednesday night in Rochester, the perfect occasion to spend an evening with a few hundred live music lovers for an intimate show with The Ballroom Thieves. It was apparently an easy choice for many, as the show at the Arbor Loft, a beautiful event space above Hart’s Grocers in the East End, was sold out in advance. The trio from Boston, returned for their third Rochester show, and first in over two years. They played two near-hour long sets, both with their own unique overlying flavor. Guitarist Martin Earley strapped on his electric guitars throughout the opening set, while Calin Peters picked up her electric bass for a good portion. In the second set, Earley went almost entirely acoustic, while Peters spent the majority on her cello. The energy ramped up throughout the first half, up until a blood-pumping fervor in the set-closing “Wolf.” The second set was more subdued on the whole, eventually winding all the way down to a show-closing encore performance of Paul Simon’s “American Tune,” completely unmiked. Electric, acoustic, no matter. This trio is greater than the sum of it’s parts. Their unique mix of instruments and variety of playing styles kept their sound fresh and invigorating throughout the two-hour show. Devin Mauch is more percussionist than drummer. He serves as not only the beat-keeper, but a third melodic instrument. Utilizing multiple mallets, wire brushes, and traditional sticks, he coaxed a smorgasbord of sound from his minimalist kit, which included an unusual hand-powered bass drum. Peters’ could hold down the low end with the bass during unexpectedly rocking moments, pluck out a more gentle bass on the cello, play foil to Earley’s leads or carry the load with lush bowed flourishes. Earley’s guitar sounds ran the gamut; electric, acoustic, finger style, flat picked. 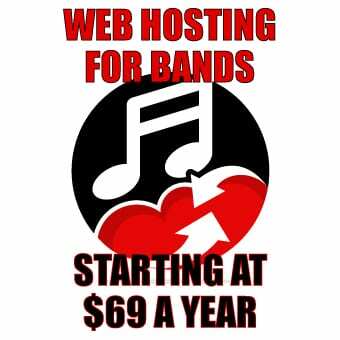 The band had a full toolkit, but also knew when and where to use it. There might be no drums, no cello, or just Earley solo; almost every song had a unique mix. Their gorgeous three-part harmonies were nearly ubiquitous though. And with good reason, it’s what elevates this trio to the next level and makes The Ballroom Thieves sound like The Ballroom Thieves. Even a cover of The Heartless Bastards’ “Low Low Low” turned into a song of their own (Earley jokingly wanted to claim that it was), as Mauch sang with just a hint of Erika Wennerstrom’s distinct vocal delivery. Nothing fills the heart quite like an intimate evening of genuine and earnest music, even if the messages conveyed weren’t always all that romantic. 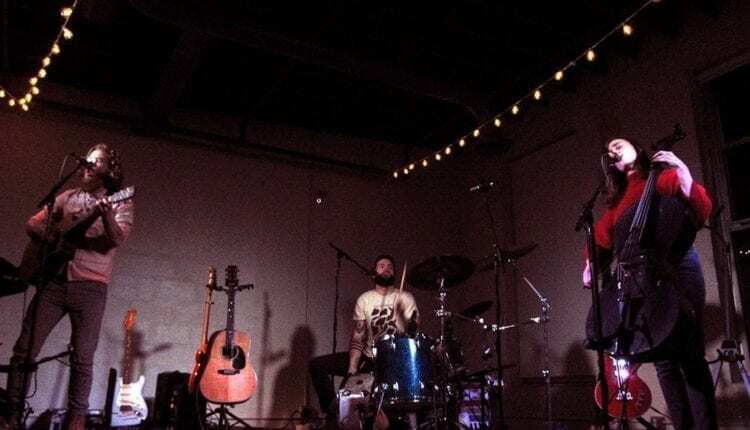 As they wrapped up the evening with the aforementioned bare bones “American Tune,” there wasn’t a person in attendance who didn’t believe that The Ballroom Thieves was the right choice for Valentine’s Day, love songs or no.